Hand dyed sparkle sock yarn. 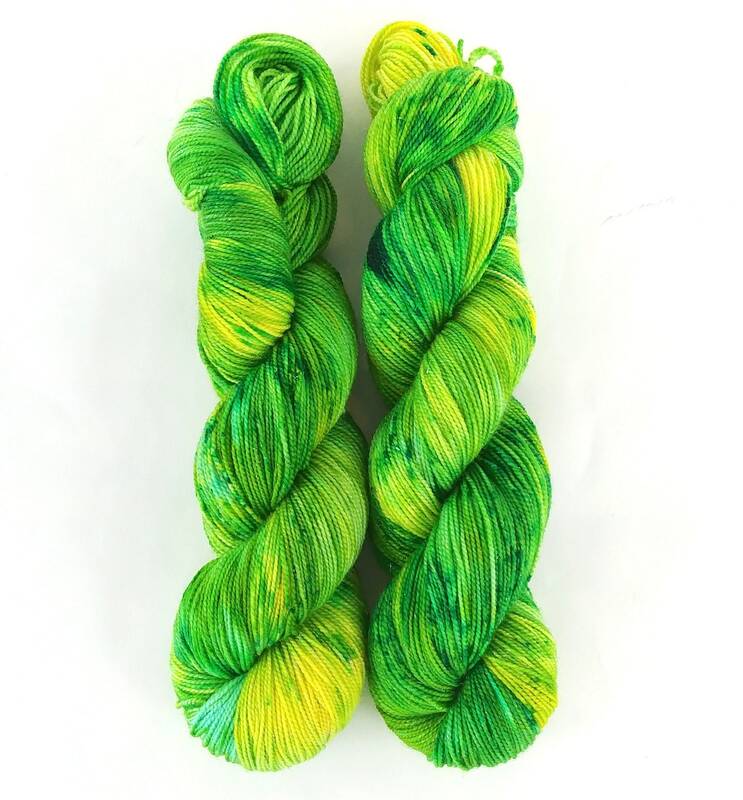 This yarn is randomly dyed with a bright spring green, sunny yellow, and a bit of a slightly bluer green with a light speckling of dark green. This color is bright! It would make a great pair of eye catching socks. The sparkle has proven to be quite difficult to capture in photos but the silver Stellina spun into the yarn makes the yarn glittery in person. Every skein is unique which I believe is part of the beauty of hand dyed yarn. If using more than 1 skein for a project it is highly recommended to alternate skeins. 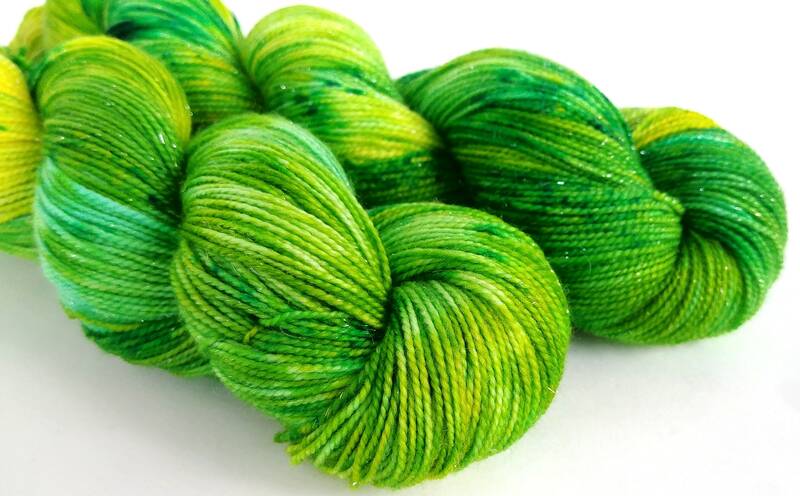 This listing is for 1 skein of Pixie Sock.